This Full Infant Bucket Swing will provide hours of safe fun for your infant or toddler. 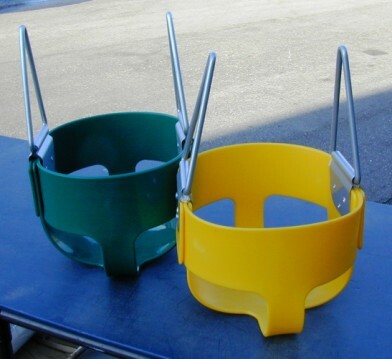 High quality, durable polyethylene safety design. Complete with sturdy galvanized hardware. SEAT ONLY. Available in Green, Yellow, Blue.